Enough with the analog, warm an organic. 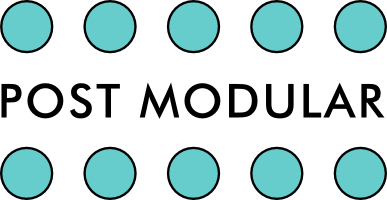 Edges is a module focused on the straight lines, sharp edges, and clinical harsh modulations of digital logic. Its architecture is loosely based on classic 8-bit console soundchips, providing 4 simple voltage-controlled voices. 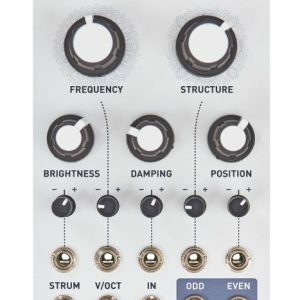 Each voice consists of a digital oscillator with two pitch CV inputs and a coarse pitch knob, with a gate input allowing the voice to be turned on/off without the need for an external VCA. 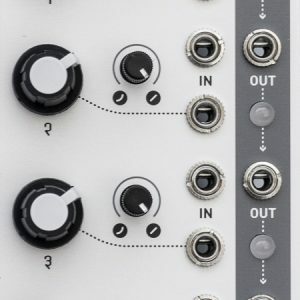 The 4 channels are sent to an onboard mixer – making Edges easy to use for chord generation or heavy drone synthesis applications. The first 3 channels are square/pulse digital oscillators, generated by subdivisions of a 4 MHz clock. 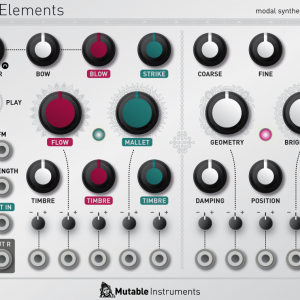 5 preset duty cycles settings are available from 50% to 95%. In addition, channel 4’s CV input can be used as a PWM CV for channels 1 to 3, with a 120° dephasing between each channel. Channel 2 can be hardsynced to channel 1. 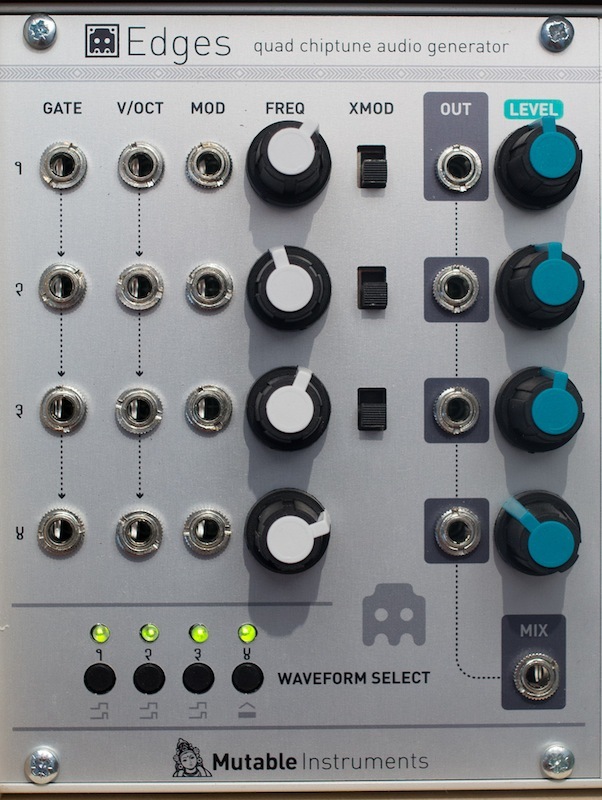 Channel 2 and 3 are also equipped with a XOR ring-modulator, blending their harmonics with those of Channel 1. The fourth channel uses a 12-bit DAC without oversampling/reconstruction filter to generate low-fi waveforms at a 48kHz sample rate. The available waveforms are sine, triangle, NES triangle, and various flavors of pitched LSFR noise. Auto-calibrate feature digitally scaling the 1 V/Oct CV input to compensate for inaccuracies in CV converters… or to be used creatively to achieve other tunings than 1 V/Oct. 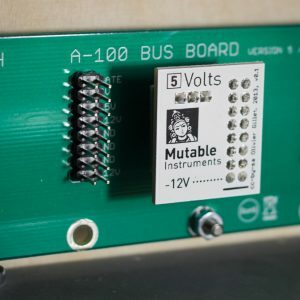 Units manufactured before september 2015 require a 5V voltage source (for example Mutable Instruments Volts). Current consumption: +12V: 70mA ; -12V: 20mA.